Signing up for a fresh dog food delivery system is quickly becoming popular for many people and their dogs in the United States. How many times have you forgot to pick up dog food and needed to run out? It has happen to all of us and it always seems to happen at the most inconvenient times! 2.1.2 Is NomNomNow’s Really Fresh? By signing up for a dog food delivery service, you are automatically sent your dog food set up on your schedule. Usually once per month. There should be no long term contracts so you can cancel at any time if you no longer want the service. There are many places to get dog food delivery services on a monthly bases. We are going to cover our top two choices. We will cover our pick for fresh made to order dog food delivery and larger brand dog food delivery. NomNomNow is the top pick for our premium fresh dog food subscriptions and here is why. Signing up for the NomNomNow fresh dog food delivery service is easy but be prepared to tell them about your dog. Once signed up, you will fill out a questionnaire including your dog’s weight (current and goal), birth day along with a couple other relevant things. Once that is done, you can select what type of dog food you would like and proceed to your subscription. The short answer is yes. This fresh dog food delivery service is oiled fresh to order based on your dog’s personal profile. That’s one of the biggest selling point to me. My dog’s food is made for him and his requirements. This dog food delivery service is a premium product and the price is going match the quality. 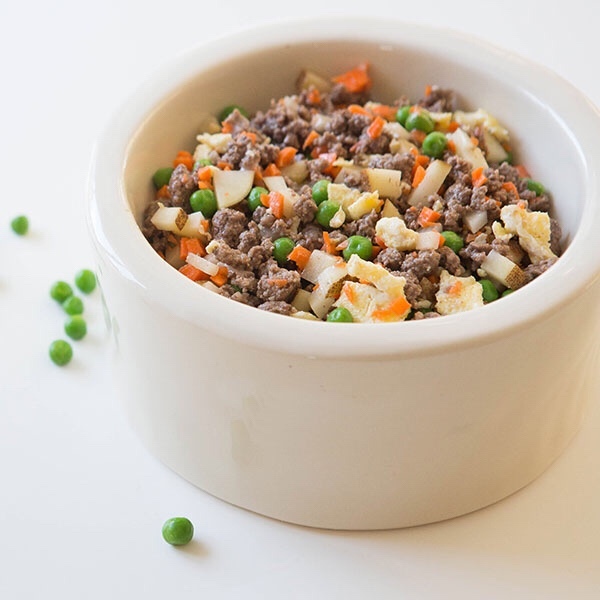 This is a very good option for someone that wants their dog to have human-grade quality dog food for their dog but doesn’t want the hassle of going to the store or making it yourself. 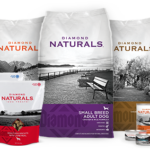 NomNomNow is worth every penny if you are looking for a great dog food service for your pup. If this is out of your price range or you want to have your current dog food delivered to your home monthly, the next section is just for you. With that being said and you think NomNomNow might be for your dog and you, you can try it with a 50% discount using this link here. 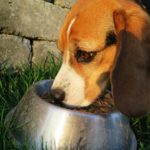 If you are not looking for made to order dog food, want to keep your dog on his/her current food or just want to keep the cost down, Amazon may be a good choice for you. If you are a Prime member, you not only save but you get free shipping. 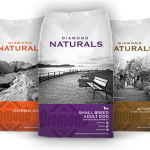 See what brands are available for dog food monthly delivery service. I assume you have purchased something from Amazon before. If so, it is as easy as placing your order. 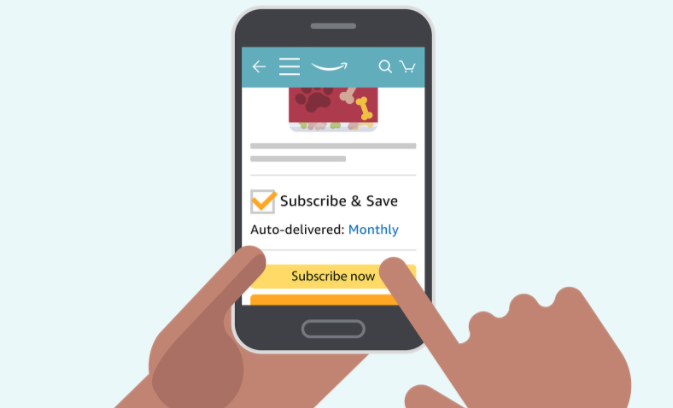 If the item you are buying is available for Subscribe and Save, you will see an option at checkout. You can schedule your dog food subscription to deliver on your schedule. The price will obviously depend on the dog food you choose. However, being a prime member and signing up for a subscription gives you an extra price cut and will be cheaper than if you just did a one time purchase. This option is perfect for the person who doesn’t want to change their pets diet or wants a more price effective alternative to a dog food delivery subscription. If this option is for you or not, you may want to check out our article named Top 5 Value Dog Food Brands That Are The Healthiest For Your Dog or the Best Cheap Dog Food article we have. There are many dog food delivery subscriptions out there to choose from. Some are better than others. The above two companies is our top choices. No matter what/who you end up going with, I hope that you have at least learned some things to look for when looking at dog food delivery subscriptions. Just remember that not all dog food is equal and others are just down right nasty! Feel free to leave your honest reviews of either in the comments below. Share your story, give us your feedback! We use Amazon use dry dog food. We have been thinking about a fresh food. How is NomNom? Hi Isaac, we have been using NomNom for about six months and Rosco has been loving it. This is what I can say about NomNom and why we went with them. I did a lot of research and there are any many options available. NomNom has some really good reviews and the price is on point for fresh made dog food. It was simple. We filled out a couple questions about Rosco like weight, etc. created the account and the delivery was set up. We selected the weekly delivery for a couple reasons. 1. We didn’t want to have to worry about freezing and not thawing it out in time. 2. We really don’t have the space for more than a weeks worth of food at a time. Deliveries have been on time every week. Every Thursday, we have a box sitting at the front door loaded with his new favorite food. It is packed in single servings packs. You pull one out of the fridge, open and serve. We serve cold but I have read that some people heat it up. The food quality is top notch. You can see the fresh peas, potatoes and meat. Saying yes is an understatement. He never bugged us at feeding time until we started serving him NomNom. He now starts reminding us it is close to feeding time 30 minutes before. A couple little bonuses has stuck out to us. They sent us an extra weeks worth of food to put in the freezer in case shipping does get delayed (holiday, weather), so that’s pretty cool. They have also sent a couple treats in the deliveries. One time it was a bag of chicken jerky. It looks like they send this type of thing on holidays. Either way, Rosco enjoyed it all. His favorite was the chicken jerky! It is a little pricey, at least for us. Rosco is 110lb! I’m guessing it’s pretty affordable for smaller dogs. Either way, the convenience, quality and how much he loves it is worth every penny to us. The link in the article gives you a 50% discount for the first couple months. Give it a shot to see how your pup likes it.